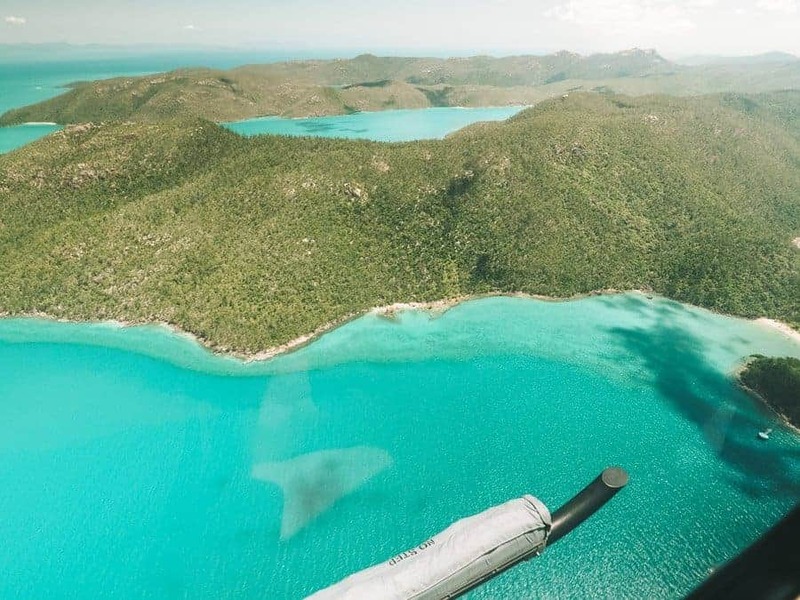 Undoubtedly one of the top things to do on any visit to the Whitsundays is seeing the Great Barrier Reef from the air! Why? This is a totally once in a lifetime, bucket list experience for anyone. 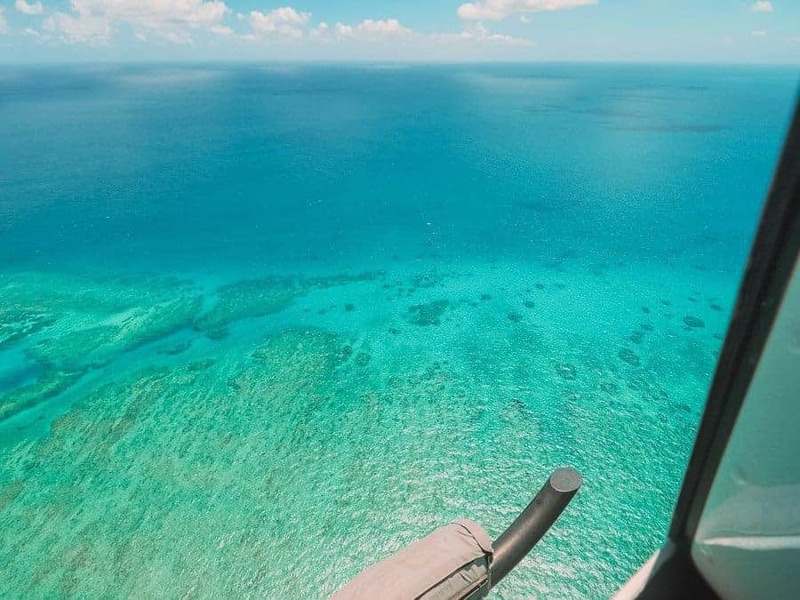 There are many reasons why you should consider investing in taking a helicopter flight over the reef. 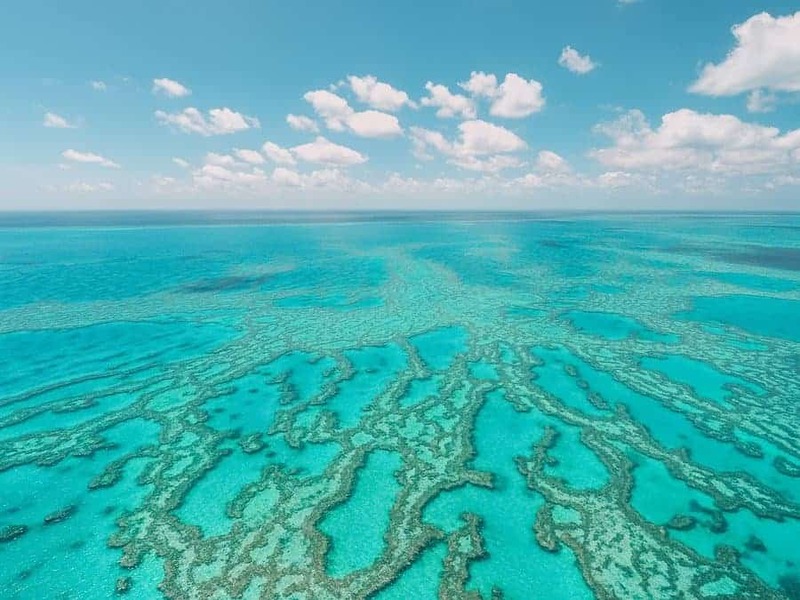 While it’s much cheaper to take a boat ride there, you don’t get to truly experience the grandeur of the Great Barrier Reef until you see it from above. 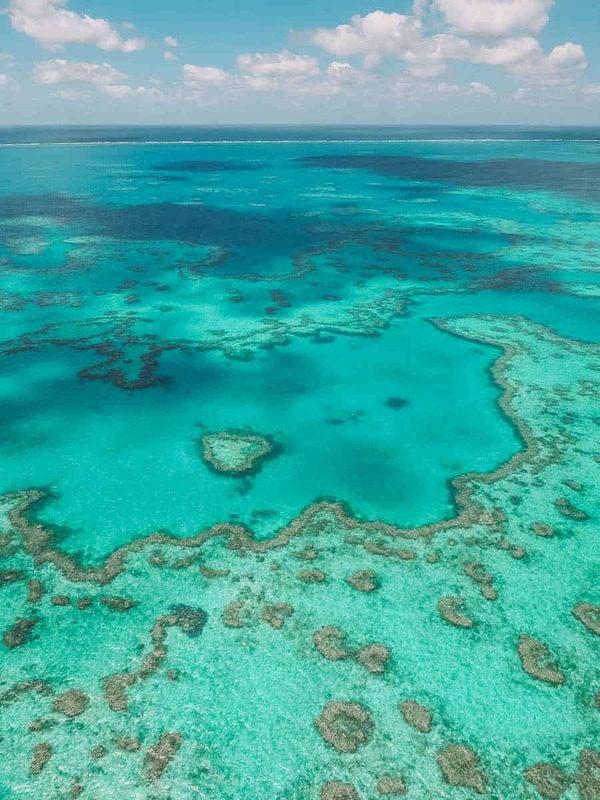 If you’re not convinced, then check out these photos we took of the Great Barrier Reef from the Air on our recent trip. 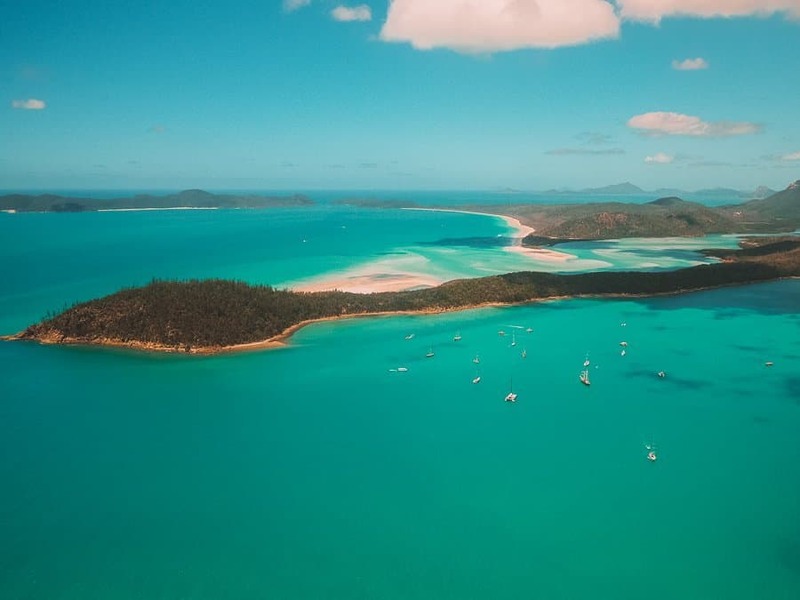 How Do You Get to the Whitsundays? 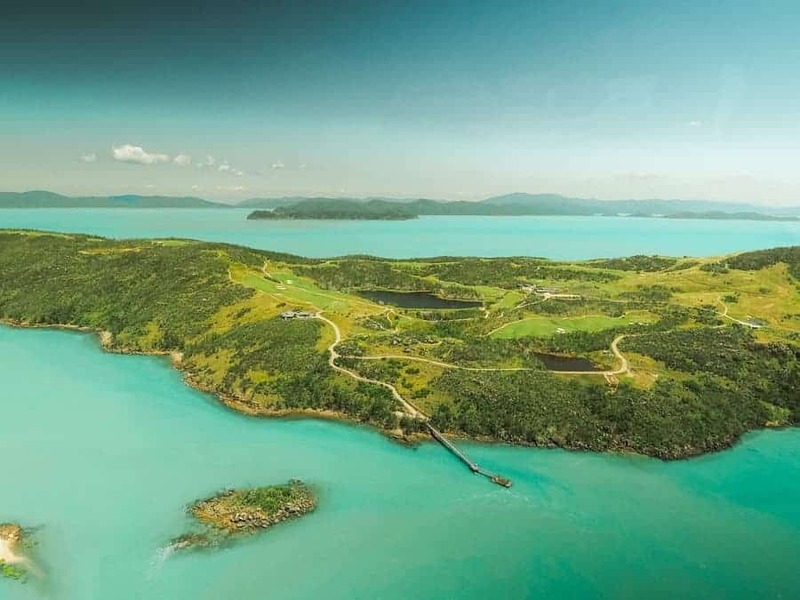 Hamilton Island airport is right near the Great Barrier Reef. 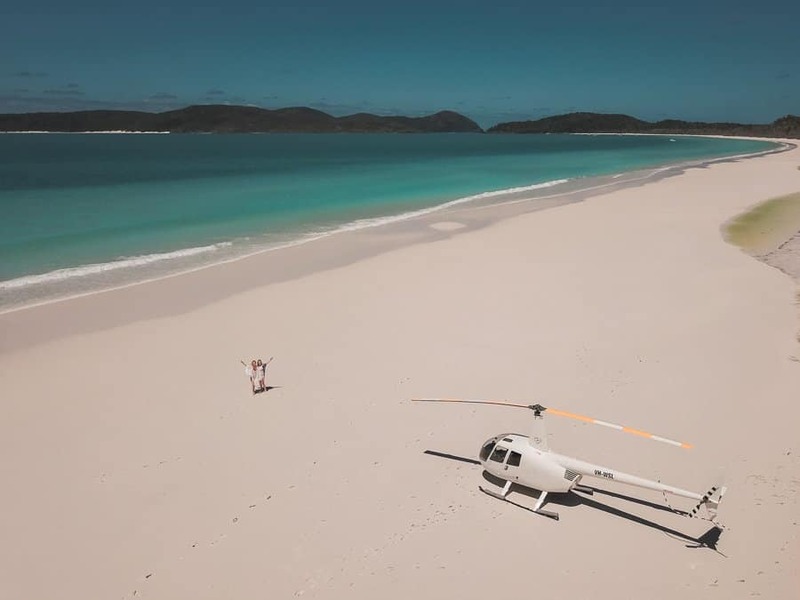 We flew to Hamilton Island and stayed overnight during our recent visit to the Whitsundays. 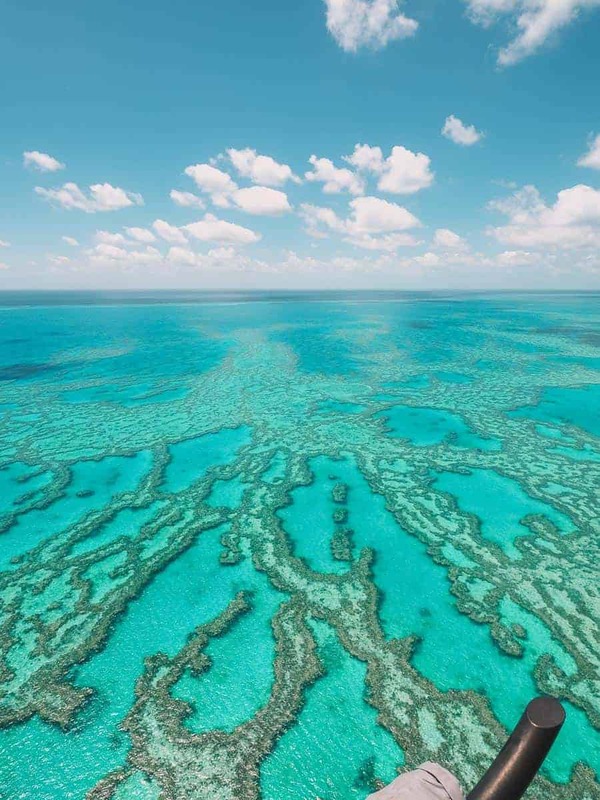 This was a great place to base ourselves for a visit to the Great Barrier Reef. 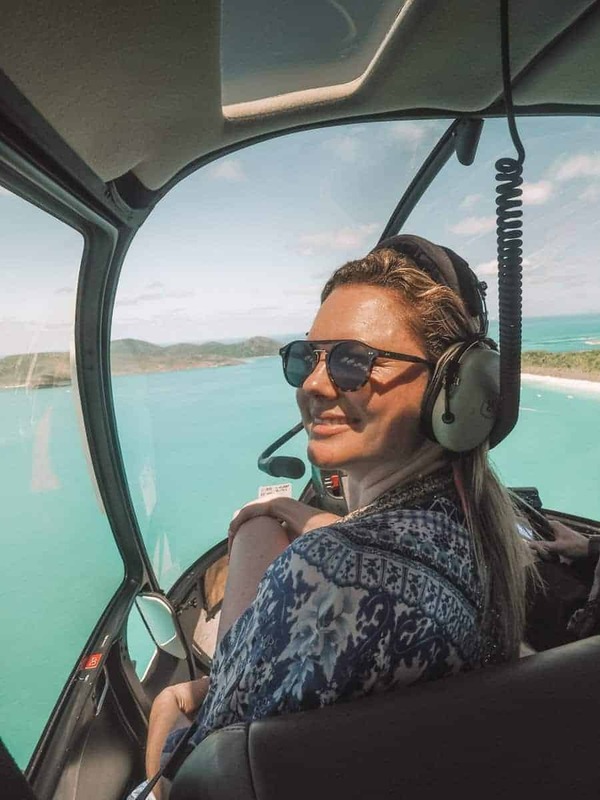 Seeing the Great Barrier Reef from the air was the number one thing we wanted to do on our Whistunday itinerary. 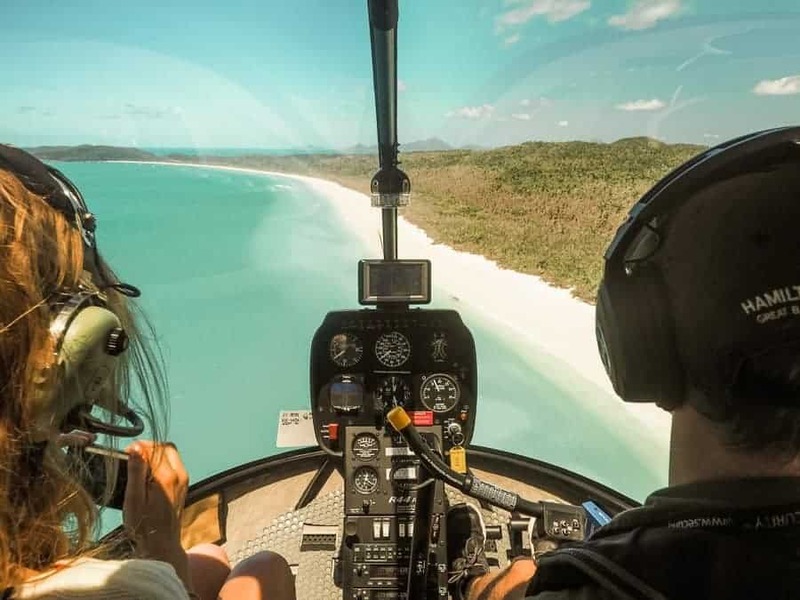 We booked our helicopter sightseeing flight with Hamilton Island Air, who were very professional and made our helicopter flight a really enjoyable experience. 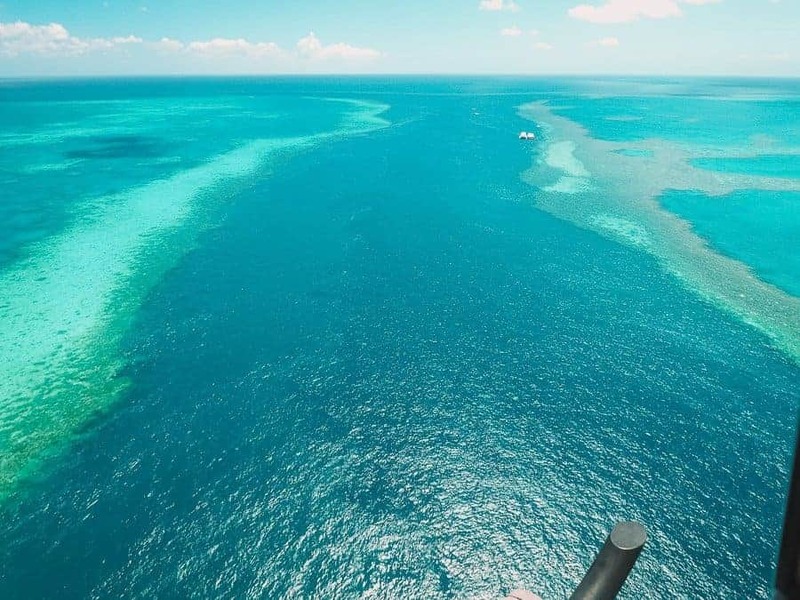 The pilot was very knowledgeable about all the reef formations and strategically positioned us in the air, so we could get amazing photos of the Great Barrier Reef. 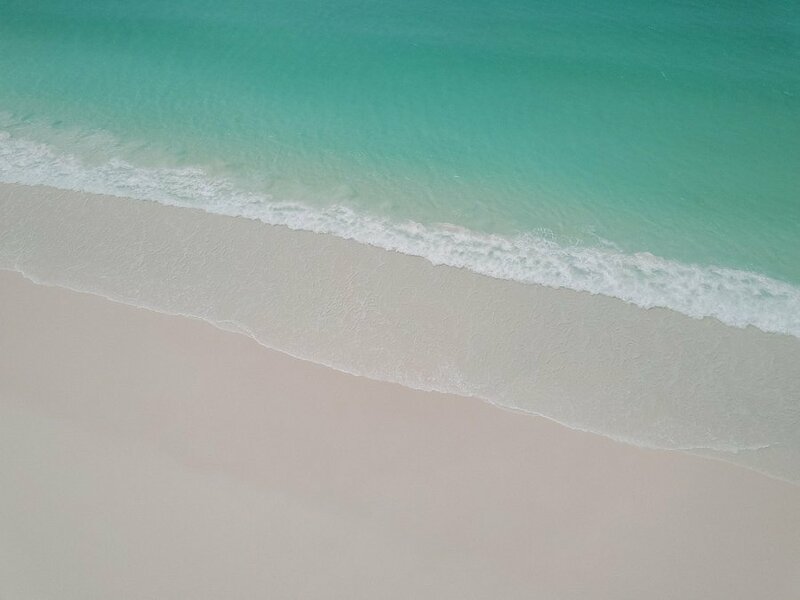 You know that beautiful white sand island that you see in all the Tourism Australia advertisements. 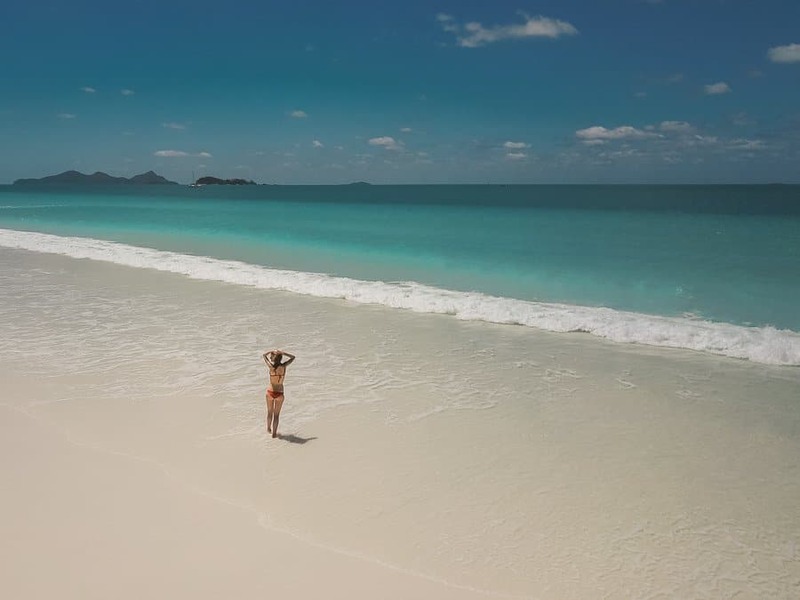 That’s Whitehaven Beach on Whitsunday Island. 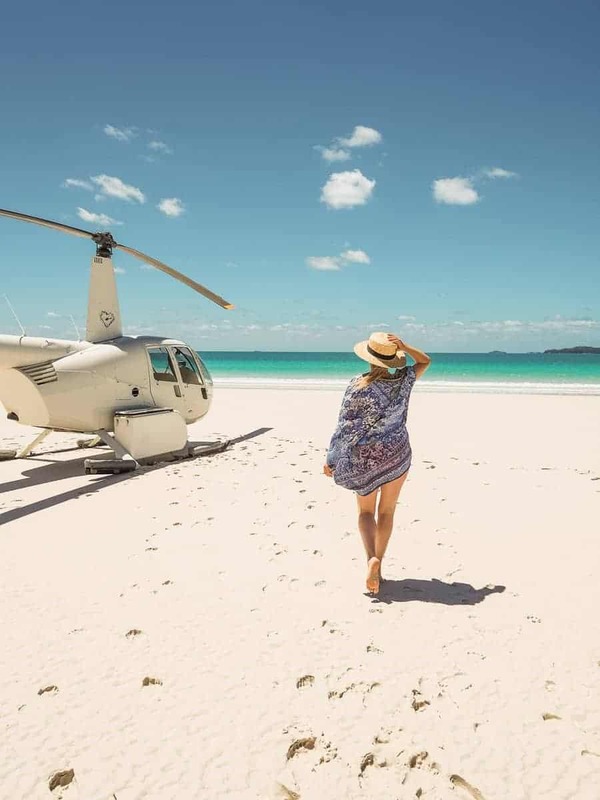 It’s actually not possible to stay on Whitsunday Island, unless you stay on a yacht or camp there. There are no hotels. 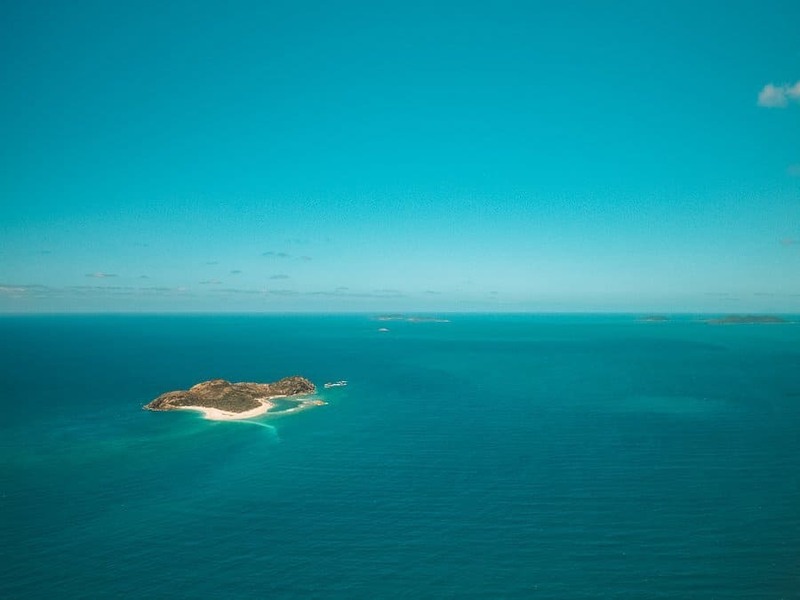 But we reckon that nearby Hamilton Island is the best place to stay in the Whitsundays. 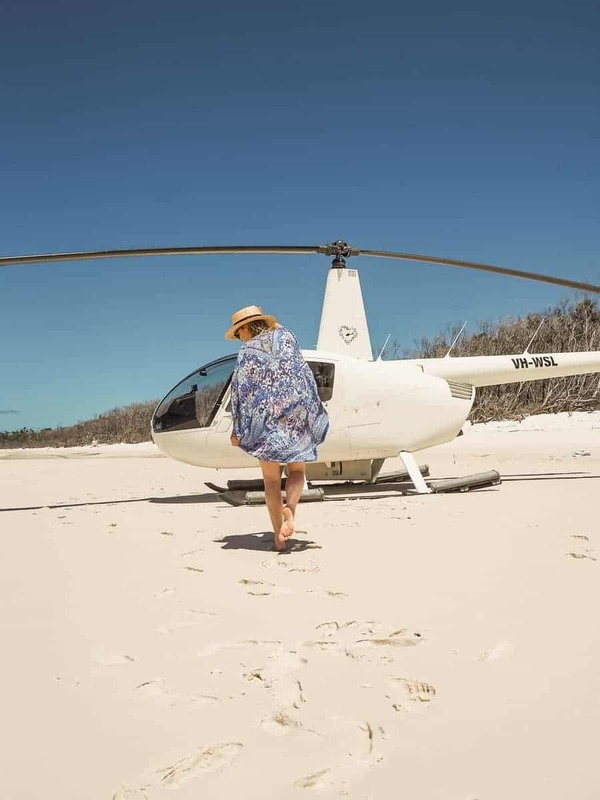 We chose the Heart Reef & Whitehaven Stopover tour, which meant we got to spend an hour frolicking on the whitest sand beach you’ve ever seen! We visited the Great Barrier Reef in March and were blessed with incredible weather. However, March is right at the end of the wet season and tropical storms are common. 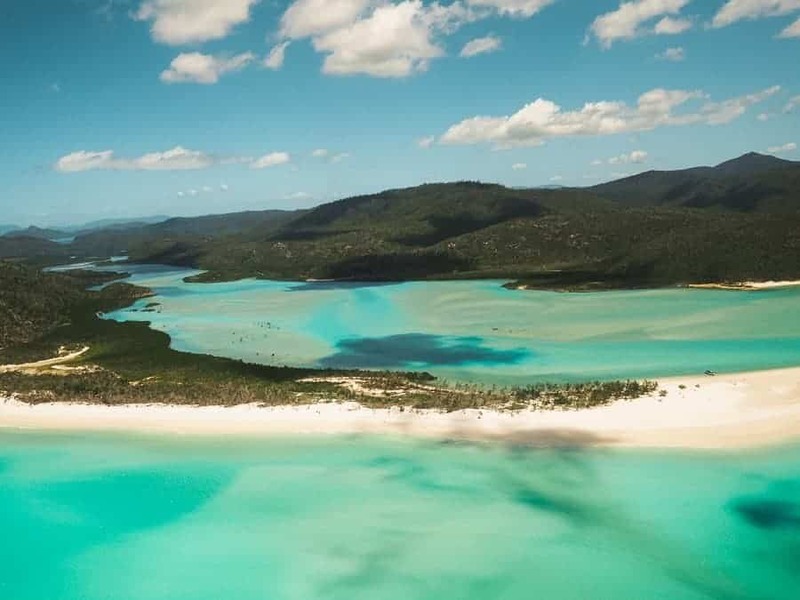 Most people recommend September (Spring) as the best time of year to visit the Whitsundays. 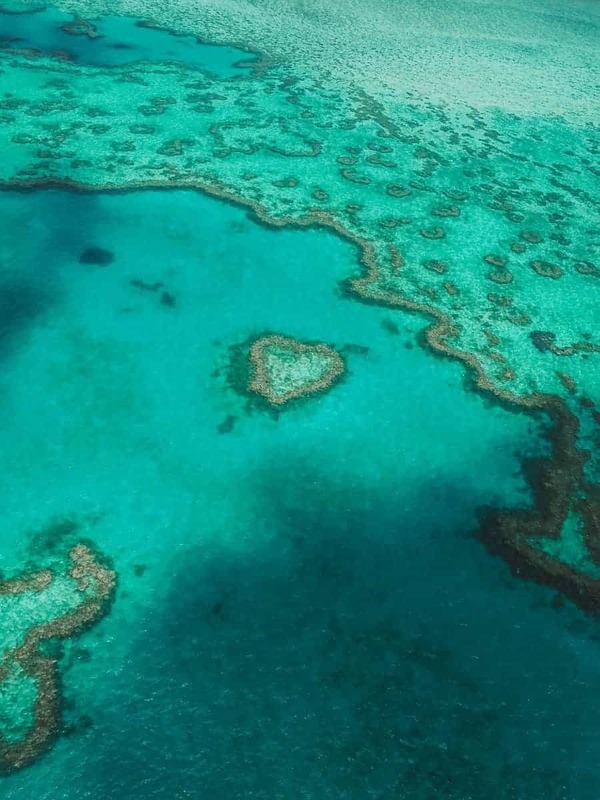 Have you got any additional tips for seeing the Great Barrier Reef from the air, or from the sea? Let our readers know about them in the comments below. These pictures are beautiful! I cannot wait to head to Aus and try my hand at scuba diving, there’s nothing like golden sands and sparkling blue seas! Thanks! I’m so excited for you. 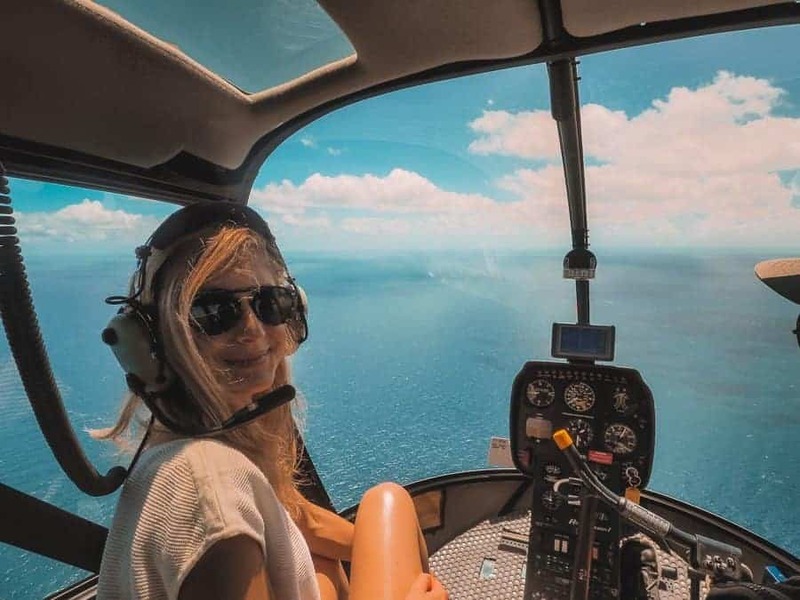 You should definitely consider doing a heli tour as well. 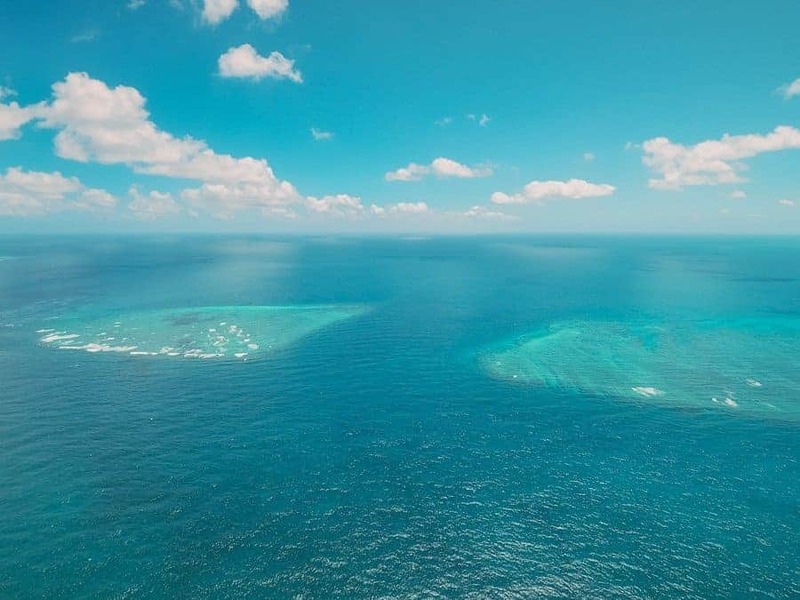 The reef is spectacular from the air (as you can see).